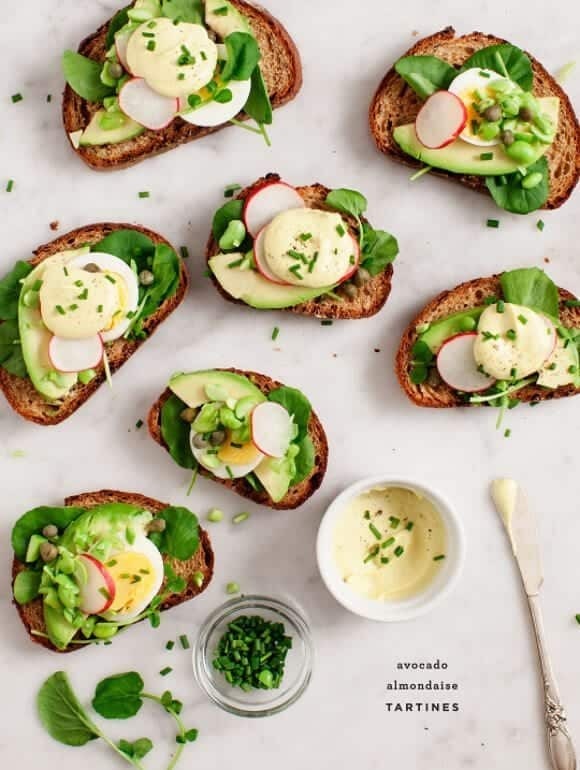 Almondaise - a rich creamy vegan sauce made from almonds, almond milk, turmeric, garlic, and dijon mustard - is perfect on toast with avocado and crisp radishes. I’m having a hard time looking at this recipe and not talking about the weather. I realize… weather not a crowd-pleasing topic, but I just can’t get over the gorgeous-ness that is happening outside of my window. (If you’re a fellow midwestern transplant, you understand my excitement). I also can’t get over these bright little tartines. Oh, and this sauce. It’s along the same lines as some of the cashew-based sauces I’ve made, but it’s also somehow entirely different. The almonds and almond milk create a light, creamy homemade mayo-ish texture. The mustard gives it tang (don’t be shy with the mustard). I added turmeric, initially just for color, but I think it’s the secret ingredient that really makes this special. 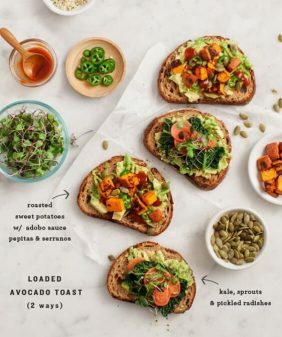 This is entirely vegan except for the eggs that I put on my toasts… obviously, those are optional. Pile on the spring toppings and invite some friends over for brunch! A note about the blanched almonds – I was lucky enough to find already-peeled ones at Central Market here in Austin. If you can’t find them, get regular raw almonds and follow the notes below. It’s a little tedious and I definitely recommend delegating that task to your significant other. Make the almondaise: In a high speed blender puree everything, except the olive oil. While your blender is running, drizzle in the olive oil. Blend until smooth, adding more almond milk or olive oil if necessary. Taste and adjust seasonings. Assemble the tartines with your choice of toppings and top with a dollop of almondaise sauce. To hard boil eggs: place eggs and water in a small pot. Bring the water to a boil, cover and turn the heat off. Let the eggs cook in the hot water for 14 minutes. 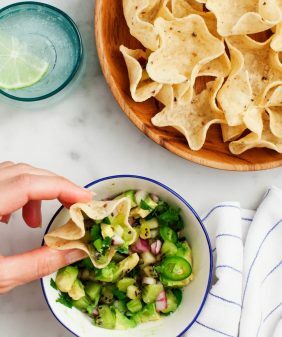 Remove from the pan and place them in a bowl of ice water to cool. Chill in the fridge until you're ready to peel and eat. (They can be made a few days ahead of time). Blanch almonds by dunking them in boiling water for 1 minute. Rinse under cold water then peel off the skins. Love this! So simple and bright! almondaise sounds so good..by chance do you remember how much does it make? oh my. That looks so incredible and unique. A must try! 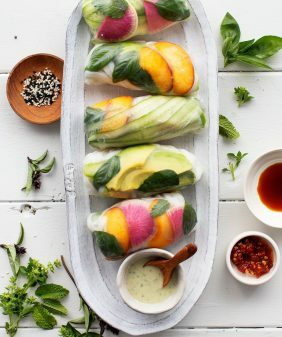 These are almost too beautiful to eat! Except not quite, because they sound absolutely delicious! This is so beautiful, fresh, and Spring-y! Awesome combination of greens. Must try. What a beautiful site, photography, and style. Umm, yes please. Anything avocado. Looks so good! I love your photograph. I made this tonight for dinner and we absolutely gobbled it up. A little tip if you couldn’t find peeled raw almonds like me, but really didn’t want to take on the task of peeling them? I bought raw slivered almonds in bulk at my local co-op and those are already peeled. Then I just blanched them and threw them in the blender. Amazing! great idea! I’ll add that as a suggestion, thanks! Avocado tartine is one of my all time favourites. 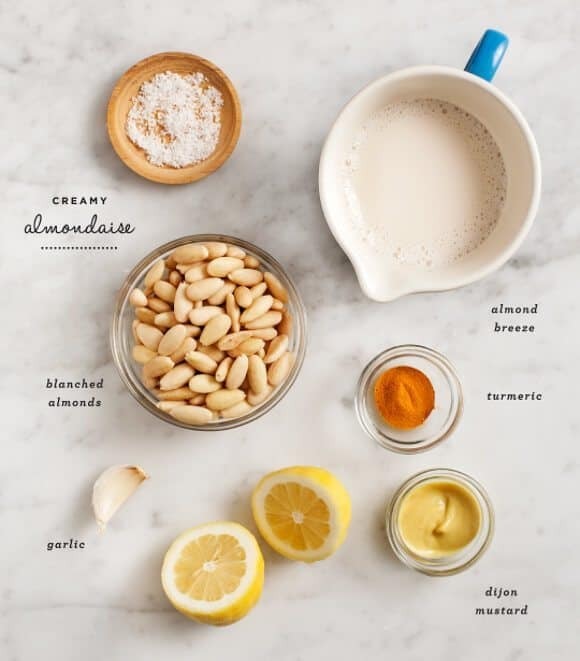 But the creamy almond hollandaise is such a lovely, healthy twist – I can’t resist. I was just thinking that I wanted to make a new flavor combo for tartines soon and here it is! Can’t wait to try this almondaise sauce, it looks perfectly balanced with the lemon and dijon to cut through the rich butter base. 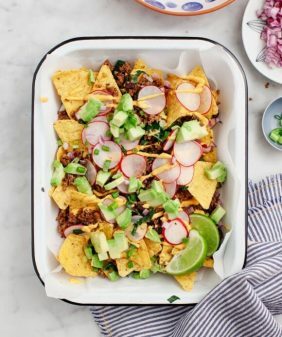 Me parece un aperitivo fabuloso, quizás lo prepare hoy, delicioso. These look beautiful and so good! 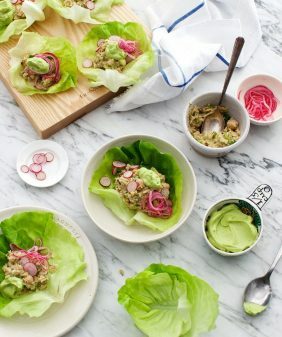 Love simple recipes like this. Congratulations on the Saveur Best Food Blog nomination! I voted for you! Love this! So colorful and delicate. That almondaise sauce sounds wonderful. Pinned! Love this. Feels like a perfect Easter dish! This “almondaise” looks fantastic. Any idea how long it will keep? Do you think it would freeze well if made ahead in a larger batch? Wonderful tartines! And CONGRATS on your Saveur BFBA nomination! Was so delighted to see you there too! These looks so fresh and bright! I want to eat them now! I can’t wait to try that sauce…I was thinking of making a hollandaise today with some asparagus, but I’ll do this instead! AND it won’t break! I’ve also been having a hard time holding in my enthusiasm about the wonderful weather we are having in the southwest. I’m really digging watercress lately, I’ve been putting it in everything and just made a delicious pesto out of it. 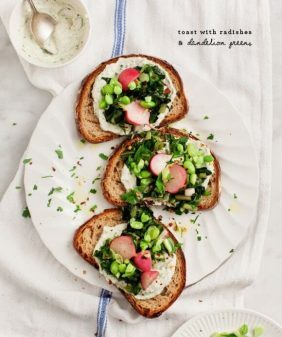 These tartines look like the perfect spring snack! Congrats on your nomination!!!!! So, so happy for you. You really deserve it! Just voted for you. Congrats on your nomination! I have to try your almond sauce, it sounds great, especially the addition of the turmeric. You always post such beautiful food posts! Whoa, I posted a “lighter” hollandaise the same day you posted this! Though yours definitely one ups mine in the health department I think… P.S. Gorgeous, vibrant pics! I’ve been dreaming of tartines for so long now- perfect spring brunch!